It’s time to do some spring cleaning, ladies. For you, that might mean cleaning out the closet. For us, it’s about making some adjustments to our website and return policy. Not as fun, but just as necessary! 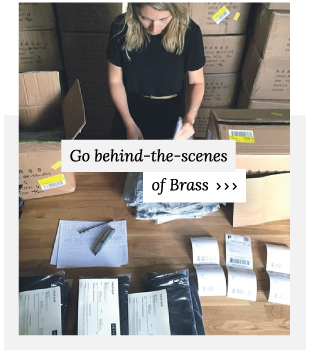 A little background: when we first started Brass in September 2014 we had 5 dress styles and a well considered, albeit naive, plan of how to deal with the operations of a “direct-to-consumer e-commerce brand.” Our warehouse consisted of a label printer and some very organized IKEA shelves. We went from packing and shipping 2 orders a day, to packing and shipping over 1000 orders a month in less than 2 years. Last October, it was finally time to move on from our home-grown system. We now work with a fulfillment partner an hour from our office in Massachusetts. This allows us to focus on the things we love most: designing, building the brand, and growing our community. As our customer community grew, we started to see new purchasing behavior emerge. We began working with an online return platform that allows customers to create their own pre-paid label. We loved providing an easy return process, but it was becoming clear that customers were buying and returning with much higher frequency. We were really starting to feel the strain on the business financially. -Improved Product Pages: We’ve added an in-depth info section to each product page that features a size guide for that specific product. You’ll also find info about whether that product is the right choice for you, wash and care info and product measurements. We’ll also be adding video and more product details over time. -Member Program: We want to encourage women to buy the right size and style the first time, every time. The all new member program provides qualifying customers with free shipping after 5 purchases. It’s our way of incentivizing women to shop thoughtfully and rewarding you for being great online customers. When you qualify, you’ll receive an email from us with your free shipping code, allowing you to waive the $6.95-$10.95 on future orders. -Return Label Fee: $7.00 will be deducted from returned orders placed on or after 4/1/17. This covers the cost of the pre-paid return shipping label. You’ll still be able to easily download a pre-paid label through our normal return process. We know this isn’t ideal. We went back and forth on it for a while and looked at comparable online brands. 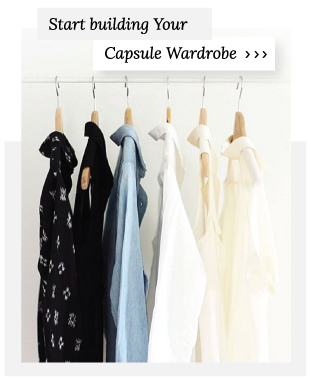 Because returns have become such an industry-wide problem, more and more online stores are instituting similar policies (Everlane, Anthropologie, Cuyana). We apologize for any inconvenience this update causes, but we want to keep this business strong for our customers. There is nothing we love more than designing beautiful clothes for you and growing this amazing community together. As always, if you have comments, questions, or feedback email us directly: jay@brassclothing.com / katie@brassclothing.com.